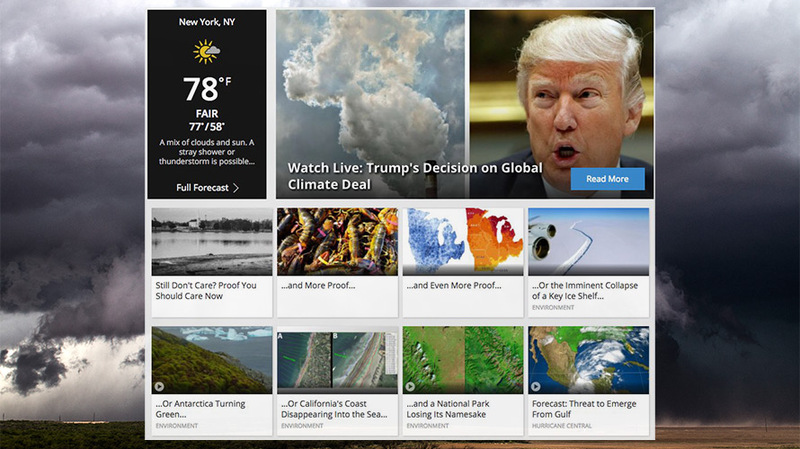 President Trump announced today to remove the United States from the Paris climate accord, so The Weather Channel edited its homepage accordingly. As President Donald Trump gathered press and supporters in the Rose Garden this afternoon to announce his decision to remove the United States from the Paris climate accord, The Weather Channel’s website shot back with a few choice headlines. The site’s homepage looked like a rebuttal of that controversial decision, with headlines like “So, What Happens to Earth Now?,” “Still Don’t Care? Proof You Should,” “… and More Proof.” Those articles linked to various pieces of evidence that prove the existence of climate change. It could take up to four years for the United States to complete its withdrawal from the Paris climate accord. Several world leaders have already condemned Trump’s decision.